Easter Egg Hunt of glory! 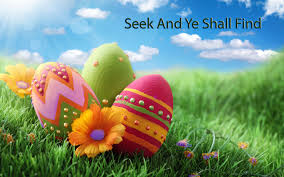 Calling all Upper Squamish valley elks of all ages, you’re never to old for an Easter Egg Hunt! Bring your own baskets or buckets, hunt starts at 11:15 am sharp! Special area for toddler elks, 3 and under! Bring a recent art piece to hang on our Easter art display – what do you love best about this time of year? Adult contest for best natural BUCK TEETH, WIN a cold beer! © Upper Squamish Valley 2015. All Rights Reserved. The Canadian Internet Registration Authority (CIRA) manages the .CA top-level domain, Canada's online identifier, on behalf of all Canadians. A Member-driven organization, CIRA also facilitates the development of a better Internet for all Canadians, and represents the .CA registry internationally. CIRA has provided funding to the Upper Squamish Valley Community to enable the completion of the installation of a wireless bridge that allows the community a reliable connection to a land-based high-speed internet system. CIRA has also provided the funds for the creation of this community website. We would like to thank CIRA for recognizing how important this project is to our community.